Logitech announced the Logitech G310 Atlas Dawn Compact Mechanical Gaming Keyboard, an ultra-light keyboard featuring Logitech’s exclusive Romer-G mechanical switches. The proprietary switches that were used on the Logitech G910 Gaming Keyboard. Offering 25 percent faster actuation than standard mechanical keyboards, the G310 has improved durability and central backlighting in a compact, tenkeyless design that brings your hands closer together for improved comfort. The Logitech G310 features exclusive Romer-G mechanical switches that register your key presses up to 25 percent faster than competing mechanical switches. With an actuation point of 1.5 mm, Romer-G switches allow your commands to be received more quickly, giving you an edge in competitive games where every millisecond matters. With improved durability at 70 million keystrokes, up to 40 percent longer than others on the market, you can play with confidence knowing that your keyboard can. With all the vital keys for gaming, the G310 keyboard can be easily carried to LAN events or fit into smaller gaming spaces. Because it doesn’t have a number pad or macro keys, you get extra space to make wide motions with your mouse. Plus, its compact design brings your hands closer together for improved comfort, which is particularly important for low DPI-gamers. Central backlighting makes it easier to find the right keys in-game and in the dark. Previous mechanical switches were built in an era where nobody wanted keys to light up. These modern design Romer-G switches allow light to shine in a central location for a uniform lighting coverage on keys providing a cleaner, more readable look. You can also control the brightness for the optimum glow for your gaming environment. Similar to the G910, the G310 features Leverage Arx Control, a new app from Logitech G that works with Logitech Gaming Software, to access a wide range of in-game display information on your mobile device,including in-game intelligence, vital system performance statistics and media controls. G310 Atlas Dawn features a dock that supports most iOS and Android devices, providing easy access to your Arx Control data. Even if you don’t use the app, the dock serves as a handy place to place your mobile phone. The Arx Control dock can also be pulled out and placed anywhere on your desk for comfortable viewing. 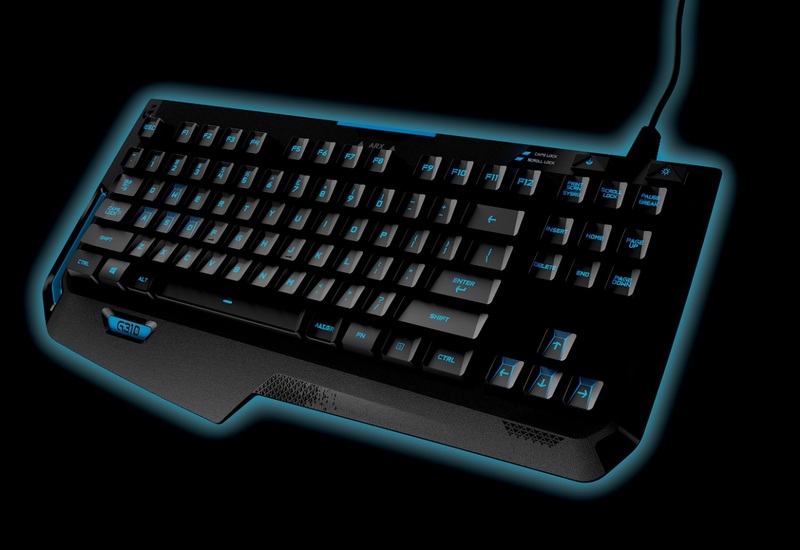 The Logitech G310 Atlas Dawn Compact Mechanical Gaming Keyboard is expected to be available in Singapore in end July 2015, for a suggested retail price of $179.00. Stripping away the macro keys, media control functions, number pad, and you get the G910’s tiny sibling, the G310. At only 765g, its an ideal size to be carried around for the competitive gamers. The loss of the macro keys might be a sore point for gamers though, since the numpad is also not available.